Sedona Arizona placed #1 on USA Today’s Most Beautiful Places in America. 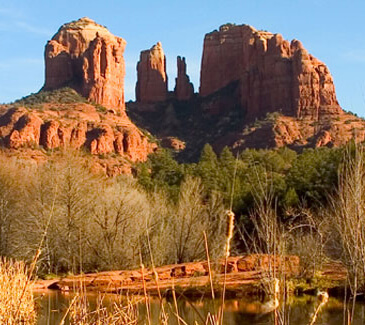 Sedona’s red rock formations ascend from the high desert floor creating a land of mystical, awe-inspiring beauty. 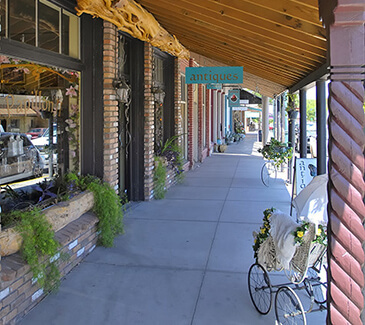 Sedona boasts a template, year-round climate and cultural amenities such as native rock art sites and ruins as well as first class dining, golf, shopping and spas. The City of Cottonwood is located adjacent to the Verde River at elevations ranging from 3,300 feet to 3,900 feet above sea level and also experiences a mild climate which, together with its proximity to an abundance of natural amenities such as the Grand Canyon, Sedona, Dead Horse Ranch State Park, Tuzigoot National Monument and the historic mining communities of Clarkdale and Jerome, continues to attract steady growth and tourism.